Gramcracker Crumbs: WTH?... Where's Our House? where we are, where we are. The online message popped up a few days ago from an old neighbor.... a take your breath away/bump your heart kind of message. 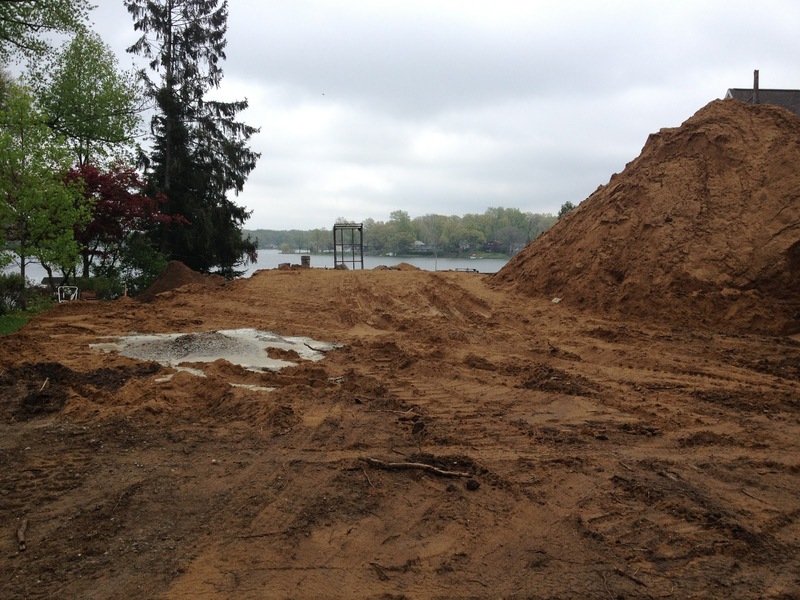 "Your old house on Crooked Lake was torn down." It was gone...... our first home, where our kids were born, where we all spent summers swimming and boating; winters sledding down the hill and skating on the ice. Actually, it was my husband's home since he was a child. His folks bought a tiny cottage back in the 50's where their four kids could spend fun, sunny summers. Suits on, out the door, down the steps and toes in the water! So simple back in those days. As the older kids grew up and moved away, improvements were made to enlarge and winterize it. Great place for Jim and his buddies to live during college years. And then.......along came Joan! We met while working on the campus newspaper; the big city girl taken with the rising journalist. Throw in a scenic lake community; our first kiss was on the back steps! 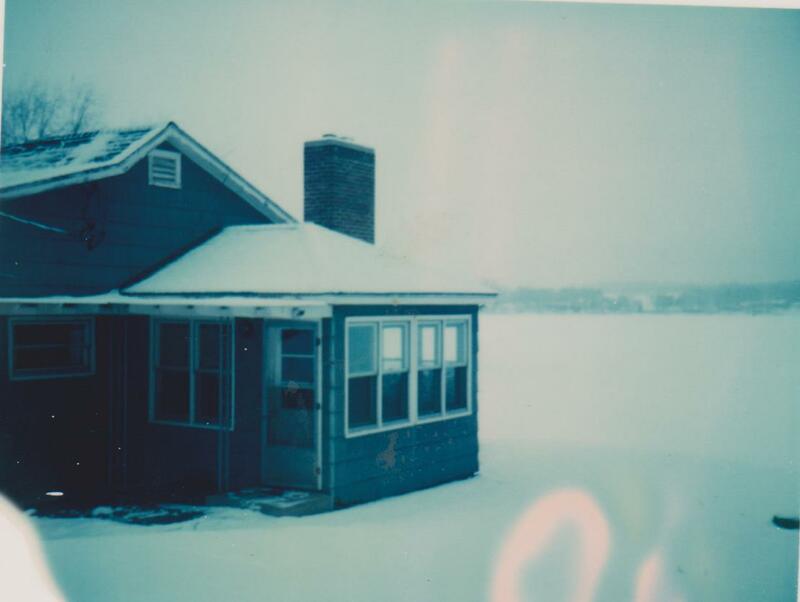 The lake house became ours when we married two years later. My kid brothers and sister spent summers with us. 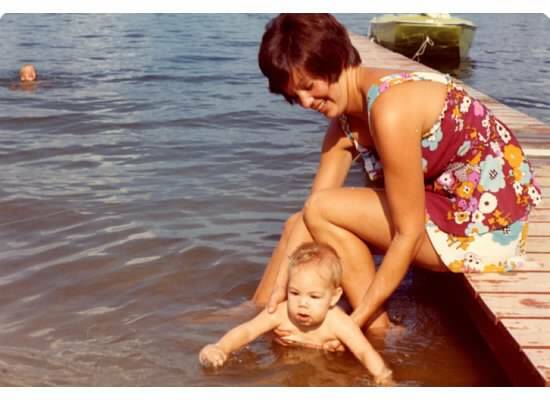 Our first child, a boy we called Sonshine, took to the water at 9 months. By his first winter....he was on teeny ice skates, trying to play 'hockey' with daddy on our shoveled spot of the frozen, snow covered lake! Preparing for another child.....we made plans for a house addition too. 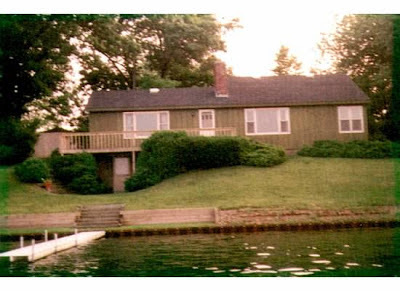 An elongated ranch; with a 1/2 basement under a master bedroom and bath and a 20 foot deck overlooking the lake! Mother Nature had fun that January morning. The weather and work delays over, workmen arrived to begin the excavation project. Labor pains had me in hurry, scurry mode; we sent our son next door and headed to the car. The most enduring picture in my heart is of my 3 year old at the neighbor's window. His face pressed against the glass staring.....not at us....but at the steam shovels starting the big dig! That evening, my husband went home to call our parents with the news of our precious baby girl. Coaching our son to tell his grandmas that he had a new baby sister, he put him on the phone.... only to hear "I got a new basement!" True story.....we used it for her birth announcement! We spent five more years there...before the first of several job opportunities had us living in 3 more states. Our daughter also learned to swim by age one; and both kids learned to skate when the lake turned to ice. The hill was the best for winter toboggan sliding or a running start off the dock in summer! Look how proudly it sits atop the hill overlooking one of Michigan's thousands of lakes. Look at the green sided, yellow trimmed dream home we'd finally made truly ours. This photo was taken about 20 years ago from a friend's boat. Instead of an annual drive-by, we'd sometimes get to see it from the water. 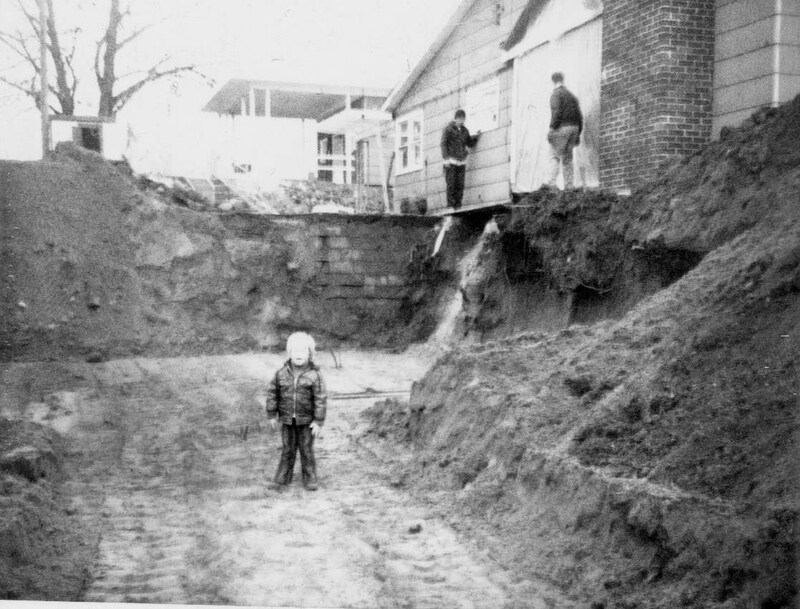 And this is how we remember our first home. Bittersweet, the end of an era for sure. This old house was one of the last to undergo razing and rebuilding. There is comfort in this: the old neighbor from Michigan, now living out of state as we are....was passing on the words of a long time Crooked Laker.....who referred to this news as the 'Stommen House being torn down'. We sold it and moved away 37 years ago! And people still called it ours...imagine that! UPDATE A few months after Jim and I digested and accepted this news, he died in his sleep one August afternoon. We are grateful that he's now back at Crooked Lake forever. What a great blog... Coming over from Ducks n a row facebook page and your newest follower. Nice to meet you, Marlys! Love this walk through early family years, turning the house into your own home. What lovely memories. I'm trying to create those memories for our grandchildren with a sledding hill and visits to the farm where we get our milk. I'd like to think they may turn up in a post someday. How sweet, GG! Your grkids are sooooooooooo lucky to have a farm in their lives! What a wonderful but sad story! 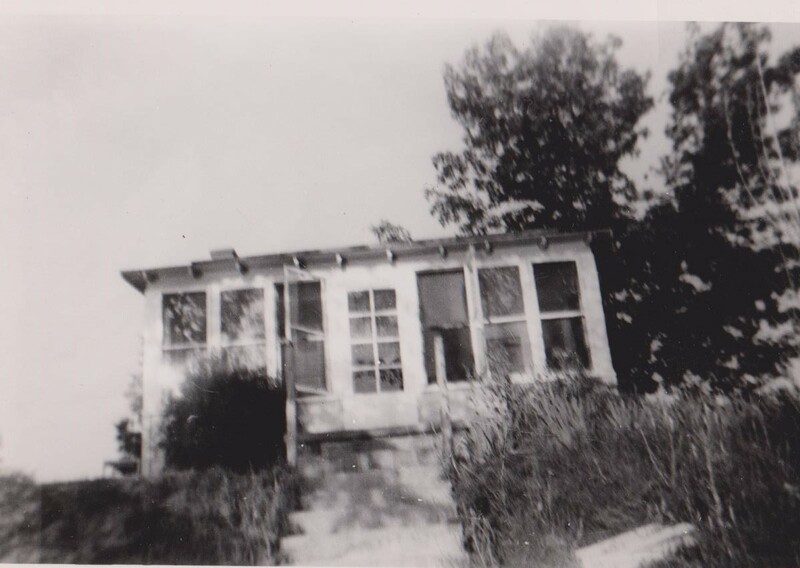 Last year when I went home to Michigan I was shocked that my Grandfather's house had recently been torn down. I felt such a loss! I bet it hit you in the gut too! Our early memories stay tucked away....but they're still there! Thanks for the compliment, Kc! Loved the post Joan, saw you on Ducks n a row FB page. Thanks, Cindra! And thank you for liking my FB page as well. I am laughing and crying at the same time! Best comment I've ever had! If it means something to YOU....it means that much more to me! I know the news was hard on you, honey. I'm so thankful you understand this sentimental journey; and for being my family history buddy! Love you too, Sonshine! What a wonderful story and so very close to home. My husband and I are semi-retired and moved "up north" in WI to his family's home, on the lake, after his parents passed away about 5 years ago. They owned the house for over 35 years and people still stop by to talk about the "good old days". 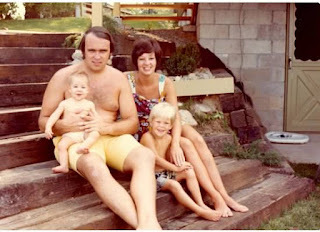 What wonderful memories you have and have given to your children~ Lynn @ Turnips 2 Tangerines. Thank you for your sweet words, Lynn! Yes...it hurts. but I'm so happy for your kids having the family home; making it thier own now. I wonder if my in-laws felt sad when we did our remodeling? I know they loved that we added the walk-out basement...which made a cozy room for sleepovers! Thanks for reading and responding, Axiesdad! Going to check out your blog now! Oh! It's so sad that it was torn down after all those years and memories. It does seem like you left a lasting impression on the community though! It's mostly the town elders who recall my husband's family name. And my son's peers. He returned to live in the area after college; played hockey and was a volunteer fireman. Lots of folks remember him....and his connection to the lake house.